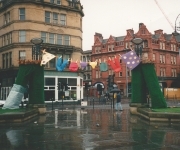 The Times Newspaper loved this temporary artwork. 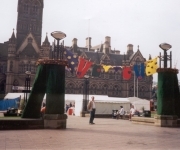 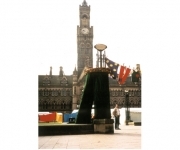 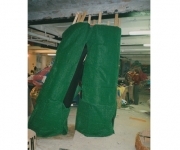 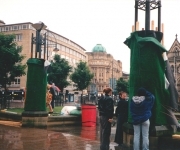 The theme for the festival was ‘urban garden’ and there was an outcry when two large astroturf trousers were erected to frame City Hall in Bradford with a washing line of pants, vests and socks waving in the wind. 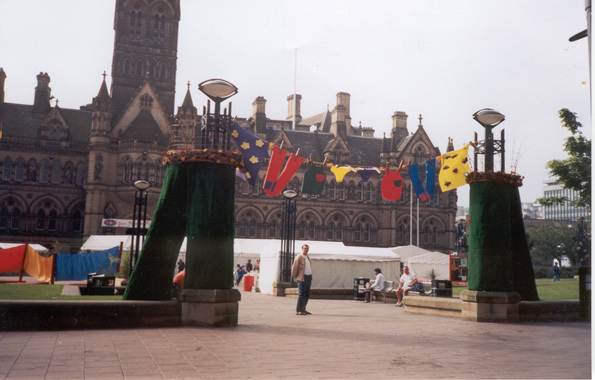 A bit of fun on a cloudy day in the centre of Bradford, birds nested in the willow crowns and a feature gateway levelled everyone who wandered into the city hall for a few weeks. 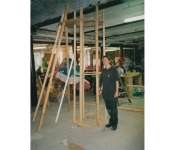 I am often known for being creatively cheeky!